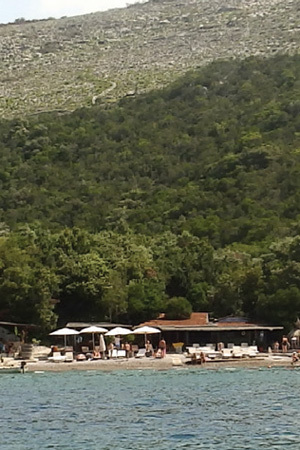 As I travelled the short ferry journey across the Adriatic, sun shining and the breeze in my face, the scenic backdrop of Boka Bay emerged and I was truly taken aback by its beauty. I arrived at the Regent Porto Montenegro, my five-star base for the next few days overlooking the superyacht marina, to be greeted by stunning interiors inspired by the Venetian Renaissance but combined with the tradition of local architecture. The hotel offers a choice of 51 contemporary double rooms and 35 sophisticated residences, all designed to create the feeling of being on board your very own luxury ship. Throw in the fine dining restaurants, on-site spa, private beach and nearby designer boutiques and I think you'll agree this sounds like heaven! I'd never been sailing before and I won't lie I was quite nervous but it was an amazing experience. I tried my hand on board one of Porto Montenegro Yacht Club's fleet of Blu26, an eight-metre sport boat. With no motor, knowing that we were gliding through the Adriatic by just the power of the wind, while taking in the beauty of Boka Bay, was amazing. Couples can even opt for a sunset sailing trip to really ramp up the romance. Whether you're experienced or a novice sailor like myself, this is a 'must-do' and the hotel now offers a 'stay and sail' package so it's all sorted for you, taking the stress out of your honeymoon planning. This destination lends itself to a variety of sports and activities, so the adrenaline junkies will love the option of tailor-made excursions. Activities are endless and range from canyoning and hiking through to kite surfing, quad biking, cycling in the mountains and taking a jeep safari through the wilderness. 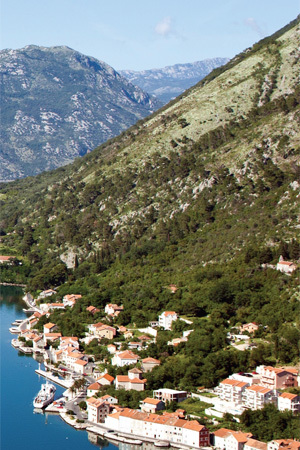 Why not take in the sights of Montenegro from the air? 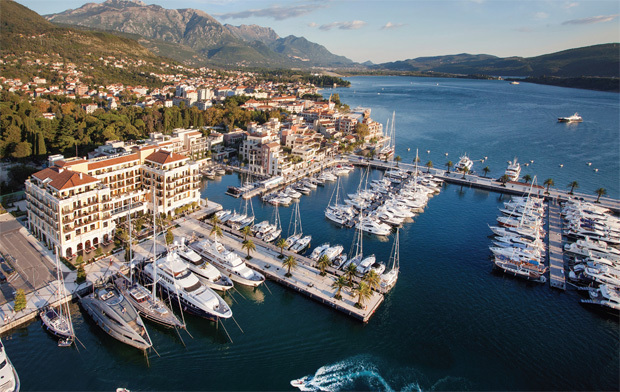 Once you arrive you can arrange a one-off experience tailored just for you with Discover Montenegro located in the marina. What better time to enjoy your first helicopter ride than on your honeymoon? Soar above the dramatic landscape, through mountain ranges or follow the coastline taking in the contrasting landscapes. I had a James Bond moment and was taken to the ancient city of Kotor via speed boat – I'd highly recommend this as a form of transport to get around here! Kotor is on UNESCO's list of world heritage sights due to its history and it's well worth a visit. You can hike along the surrounding walls that are crafted into the natural steep slopes or wander the narrow streets and squares enjoying the cafés and boutiques. Be sure to take in the treasures of the numerous cathedrals and churches, which add to the rich history. 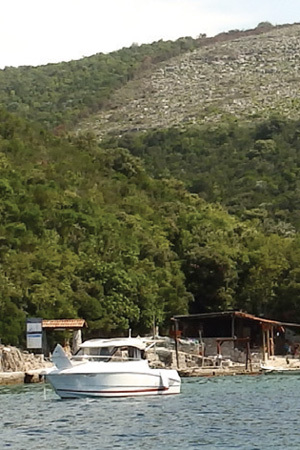 Take a boat from the hotel to the island of 'Our Lady of the Rock'. According to a legend, fishermen found a religious icon from a shipwreck here and vowed to build a church on the spot to protect sailors and fishermen. What's more, you can even get married there! 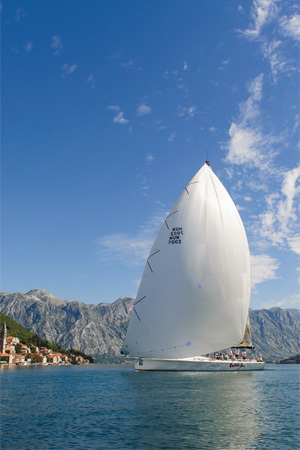 Sailing really is at the heart and soul of Porto Montenegro and the Naval History Museum, just a short walk from the hotel, is a really interesting visit for those wanting to know more about the region's roots. I also had a tour around the Yugoslav submarine 'Hero' dating from 1969 – a fascinating insight to take in with your new hubby. Don't go home without… Buying a piece of stunning authentic jewellery from Kotor. Years ago silver merchants used to pass through Kotor and to this day, the one-off designs can be seen in many boutique windows. A must try… Lozova Rakija (pronounced 'Raki') – a local spirit. This is sure to make your eyes water so be warned, one is more than enough for us tourists. The locals say that drinking a shot of this every morning with a spoonful of honey and olive oil will give you a long and healthy life – I took their word for it! A must do... Visit the hotel's Dobrec beach by boat and sample the restaurant's locally caught seafood specialities to add to the experience.